The speculation that X Factor finalists Ella Henderson and Union J pretty boy George Shelley – are dating began since the two hit our screens. Denials were quick to followed with both George and Ella tweeting the “just friends” card on many occasions. However, a show insider says they are a couple. 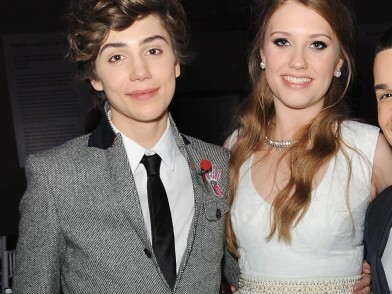 A source told The Sun: “Ella and George are the sweetest couple. It’s so lovely to see them together now they’re not denying it.